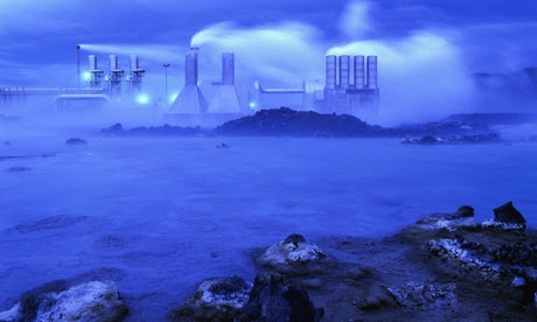 Geothermal energy is one of the most promising alternative energy technologies — it’s a clean, virtually unlimited resource, and unlike wind and solar it doesn’t require specific weather conditions. But it can be expensive. That’s where a Google-backed company called Potter Drilling comes in. The company has developed an jet engine-inspired drill for enhanced geothermal systems (EGS) drilling that uses super-heated water instead of mechanical stress to inexpensively break rocks open. Mechanical abrasion drills don’t work on certain types of rock like quartz and feldspar, but Potter Drilling‘s new EGS drill works everywhere. In other words, EGS can make use of geothermal resources that might not otherwise get to be tapped with traditional drilling methods. Potter is currently working on a trial funded by the US Department of Energy and Google.org. in August, the company will drill a 4-inch hole to 1,000 feet deep. And if that goes well, Potter’s simple, inexpensive drilling design could potentially make geothermal energy cheaper all-around. It's not virtually unlimited. The Earth will cool eventually. You meant it's practically unlimited. Solid information. Bookmarked your blog. Thanks again. Great idea and I hope it proves itself. We already have geothermal hot springs running into the ocean here in Savusavu, Fiji. Ironically they are only about 200 meters from the electric company's diesel powered generators! Any Google execs need a vacation? Geothermal energy is one of the most promising alternative energy technologies -- it's a clean, virtually unlimited resource, and unlike wind and solar it doesn't require specific weather conditions. But it can be expensive. That's where a Google-backed company called Potter Drilling comes in. The company has developed an jet engine-inspired drill for enhanced geothermal systems (EGS) drilling that uses super-heated water instead of mechanical stress to inexpensively break rocks open.